When Abby, who has been fighting to survive in the jungle, returns to their beachside campsite, the others are shocked at the change in her demeanor. Back in the real world, Abby was passive and mellow, but the need to survive changes people. While Daley and the others are safe at the campsite, Abby is roughing it in the jungle—no more yoga for this girl. When Abby returns to camp for a second time and challenges everything they have built, Daley expects the group to cling to the status quo—but she couldn’t be more wrong. Abby is ready to take action, and she’s not the only one. She has definitely changed, and maybe not even for the better. She’s definitely not the same person she was before leaving. 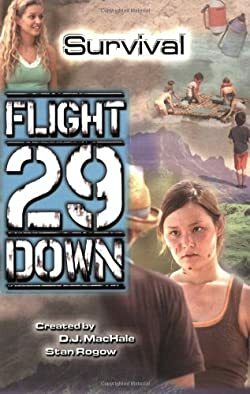 The last book in the Flight 29 Down series based on the young-adult TV show ends the adventure of the children stranded on the desert with a bang.